In the mid 90âs, Johnny Kempt was cast as Buddy Holly in the multi-million dollar production of âBuddy- The Musicalâ. The touring production played to ecstatic capacity crowds in premiere venues in both Australia and New Zealand. The âBuddy Holly Revue Tourâ that followed was also a huge success, taking Johnny as far afield as China, and culminating in an Eden Park half time performance before a worldwide television audience of 300 million. Johnny currently lives in Los Angeles, California, where he fronts the highly successful band, Helicopter. He still performs the role of Buddy and in recent years he has been performing as Paul McCartney in âRAM â The Paul McCartney Tributeâ. "With only a little imagination, it was possible to believe this really was Buddy Holly. Kempt's guitar work was a bonus. His faultless searing solo behind his head was a startling piece of showmanship." 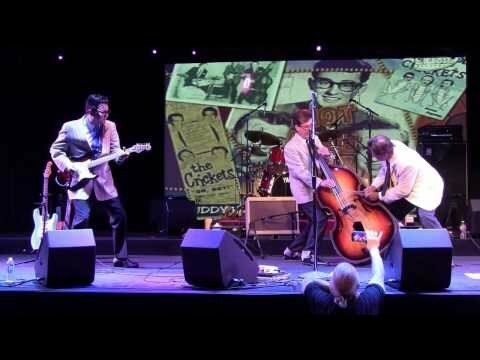 âThe Buddy Holly Revueâ features all of Buddyâs hits, as well as hit songs he recorded by Elvis Presley, Chuck Berry and Bo Diddley. The two set show is an engaging journey through the music off the 50âs, complete with a dynamic acoustic set that spotlights songs such as âEverydayâ and âTrue Love Ways.â Johnny Kempt performs the show in an energized fashion backed by a three piece band of the best session musicians. Time and time again, âThe Buddy Holly Revueâ proves that if there is one type of music that crosses cultural and generational barriers, itâs good old Rock and Roll.